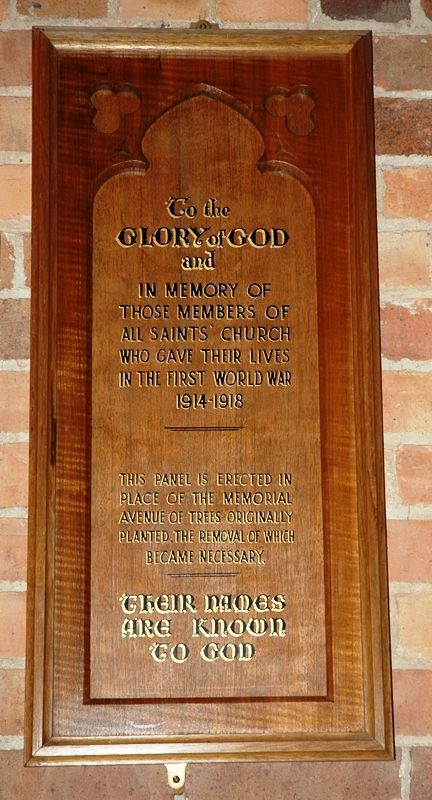 A plaque commemorates those from the church who were killed in World War One. It was erected in place of memorial trees which had to be removed. This panel is erected in place of the Memorial Avenue of trees originally planted, the removal of which became necessary.